Get ready for the Autumn School Holidays! The Autumn School Holidays and Easter are just around the corner (Saturday 6 April to Monday 22 April 2019) so now’s the time to start planning your family fun in Melbourne’s west! Joyce Watts from the popular Melbourne-based family travel blog TOT: HOT OR NOT has compiled a list of her top 35 school holiday events and activities happening in Brimbank, Hobsons Bay, Melton, Moonee Valley, Wyndham and Maribyrnong. Some are free or low cost and some may require bookings in advance – so hop to it! Emergency Services Expo (Sat 6 Apr) – Interactive expo will offer the community a chance to learn about emergency management in Brimbank, to meet the people behind the services, and have some fun in the process. Wominjeka Festival (Sat 6 Apr) – Teaching and sharing from the Boon Wurrung and Wurundjeri peoples of the greater Kulin nation. Art Sauce for Kids (Sat 6 Apr) – Join Little Art Big Art for a free art and creative workshop for kids (aged 0-15) and families. Read my review. Autumn Festival at the Races (Sat 6 Apr) – Country racing, craft markets, food trucks, outdoor cinema. Mural Celebration Day (Sat 6 Apr) – Celebrate the new artwork in Strathmore with an afternoon of free food and music. Williams Landing Outdoor Cinema (Sat 6 Apr) – Free outdoor movie experience with kids games, popcorn and ice cream. 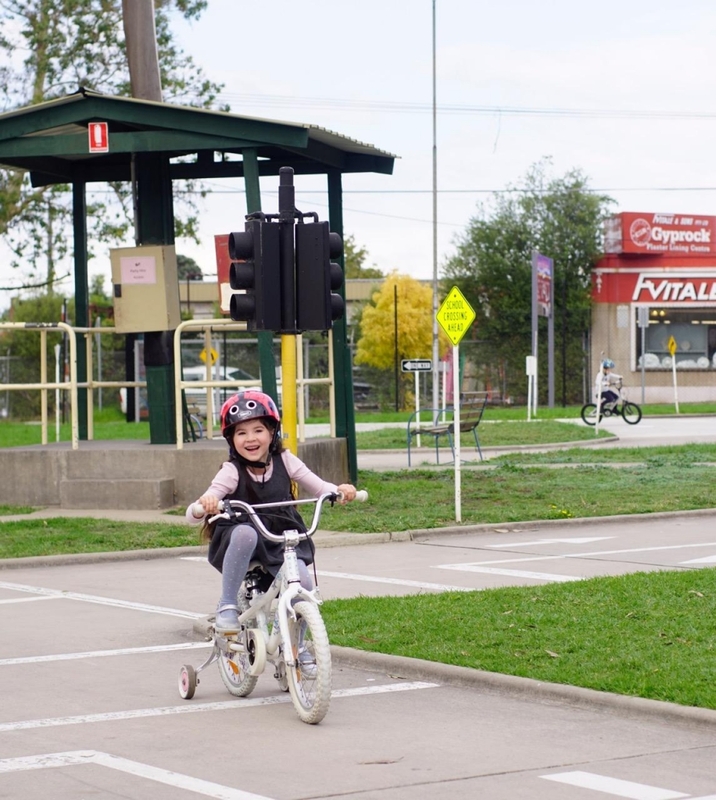 Essendon Traffic School (Sat 6 Apr – Thu 18 Apr) – Essendon Traffic School is a mini road set up for kids aged two to ten years, complete with road signs, railway bells and traffic lights. Read my review. Scienceworks (Sat 6 Apr – Mon 22 Apr) – Play the part of an engineer these holidays with our open ended engineering play space. Wyncity (Sat 6 Apr – Mon 22 Apr) – Special deals for tenpin bowling, state-of-the-art laser tag, bumper cars, mini golf, arcade games. Full review. 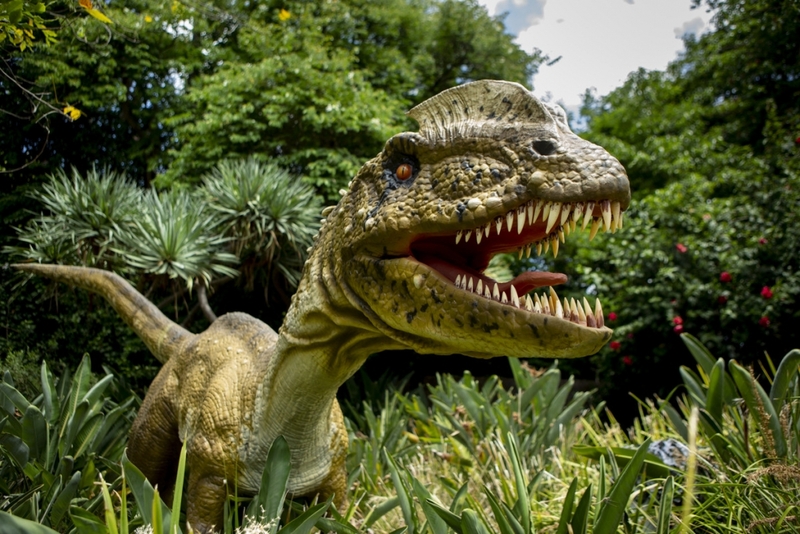 Zoorassic Werribee Zoo (Sat 6 Apr – Sun 14 Jul) – Nine life-size dinosaurs come to life through animatronics and soundscapes. Meet a Dinosaur Ranger and find out what it is like to care for and train this species. Melton Teenage Holiday Program (Mon 8 Apr – Thu 18 Apr) – an excursion based program for young people of secondary school age that runs during school holidays. Ramp Camp (Mon 8 Apr – Wed 10 Apr, Mon 15 Apr – Wed 17 Apr) – Camps are suitable for skateboarders, scooter & BMX riders aged from 7-14. Read my review. House of Colour Highpoint (Mon 8 Apr – Sun 14 Apr) – Three bright and bold connecting rooms designed to be the ultimate funhouse for kids. Each room will focus on a different Pantone colour and will include interactive and entertaining activities for kids of all ages to enjoy. Meet the Senses Woodgrove (Mon 8 Apr – Sun 14 Apr) – Children aged 5 and over can join in an experimental journey of the five senses, exploring the weird and wonderful ways our senses work. Little Art Big Art (Mon 8 Apr – Thu 18 Apr) – Various workshops for kids aged 1-12 years. Scienceplay Kids (Mon 8 Apr – Thu 11 Apr, Mon 15 Apr – Thu 18 Apr) – Science workshops for kids. Read my review. Junior Rangers (Mon 8 Apr – Sun 21 Apr) – Parks Victoria Ranger guided activities in various locations. 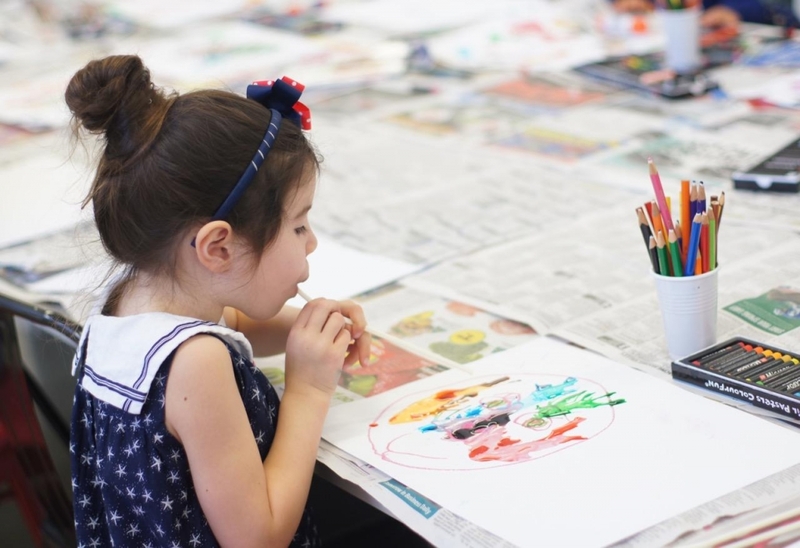 The Art Factory Essendon (Mon 8 Apr – Fri 26 Apr) – Various activities and workshops. STEM Stations (Tue 9 Apr, Thur 11 Apr) – Ages 6-12 will take the challenge to complete each science, tech, engineering and maths activity in time! Connecting Back to Childhood (Tue 9 Apr, Sat 13 Apr, Tue 16 Apr, Sat 20 Apr) – Take a step back in time at Altona Homestead with games, toys and activities that provided entertainment in years gone by. Gold coin donation. 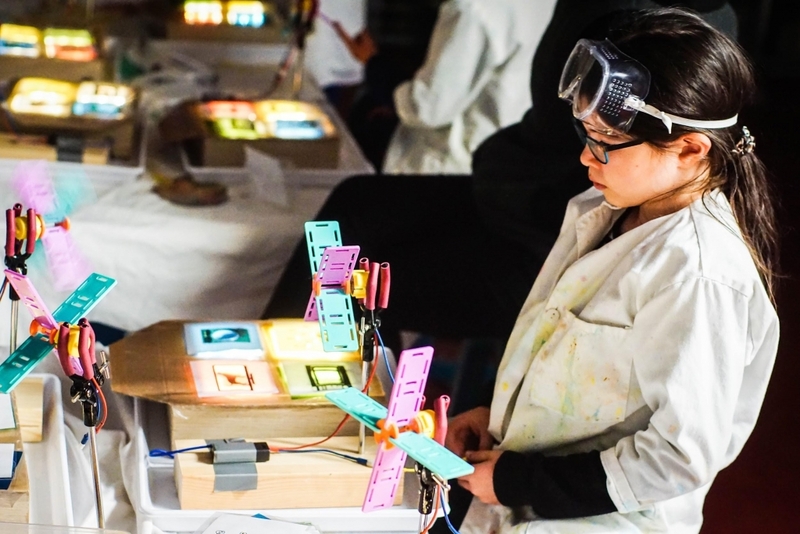 Footscray Community Arts Centre (Tue 9 Apr – Thu 11 Apr) – Creative and participatory workshops in animation, augmented reality, circus, clowning, sound art, street art and visual arts. Incinerator Gallery (Tue 9 Apr – Thu 11 Apr) – Children will work alongside professional artists and educators to imagine, make, create and express themselves. Fun Time Films ( Tue 6 Apr – Thur 11 Apr) – Bowery Theatre will be transformed into a big screen cinema, and they’re celebrating all things Disney Princess. 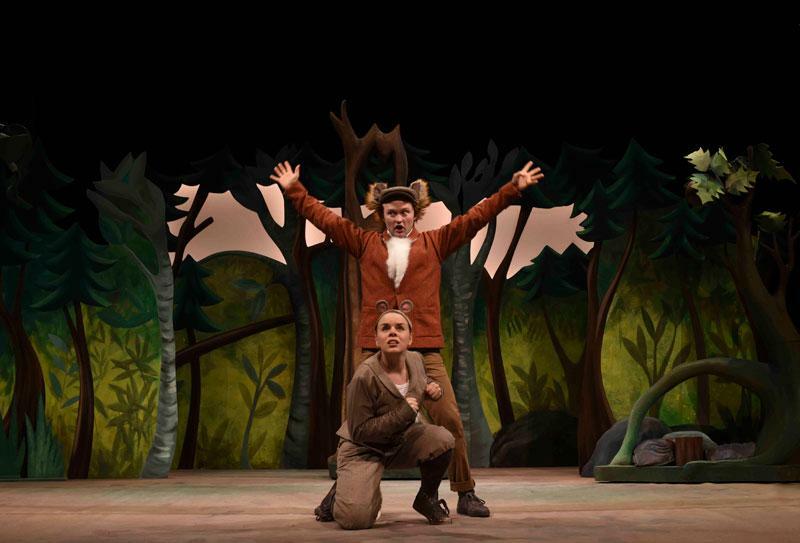 Musical Sprouts Workshops (Tue 9 Apr – Fri 12 Apr) – Kids will explore musical styles, use their bodies to grow from the earth like sprouts, play drama games and learn one of the dances from the show. 100 Story Holidays (Tue 9 Apr – Wed 17 Apr) – Writing workshops for kids aged 7 – 12 years. Code Camp Essendon (Tue 9 Apr – Thu 11 Apr, Tue 16 Apr – Thu 18 Apr) – During the camps, kids create and build their own game, learn about user design and the psychology of user experience. By A Thread (Thu 11 Apr) – Inventive aerial acrobatics from some of Australia’s best emerging circus artists. Active April Fun Day (Thu 11 Apr) – Run, jump, throw, roll and play your way to being active! Children are Stinky (Fri 12 Apr) – This acrobatic duo’s attempts to prove kids STINK are met with messy, ridiculous and hysterical twists. A Day in the Life of You (Sat 13 Apr) – Musical Sprouts show is written specifically for children aged 2-6 years and addresses the daily challenges of growing up. Little Designer Club Pop Up Design Studio (Mon 15 Apr – Thu 18 Apr) – Kids can design their own customised necklace or handbag at the Myer Highpoint pop up store. Read my review. Saddle Up (Mon 15 Apr, Tue 16 Apr) – Learn to ride a horse, meet a thoroughbred horse and a jockey, learn from one of racing’s leading race callers and much more. Circus Skills (Wed 17 Apr) – Learn circus skills like a pro and amaze your friends with your new juggling skills! Various session suitable for ages 3 – 12 yrs. Miss Biscuit (Wed 17 Apr, Thu 18 Apr) – Cookie decorating for 6-12 year olds. Splash Test Dummies (Thurs 18 Apr) – Dive into a swimming pool of slapstick stunts and comedy with this award-winning family circus trio! 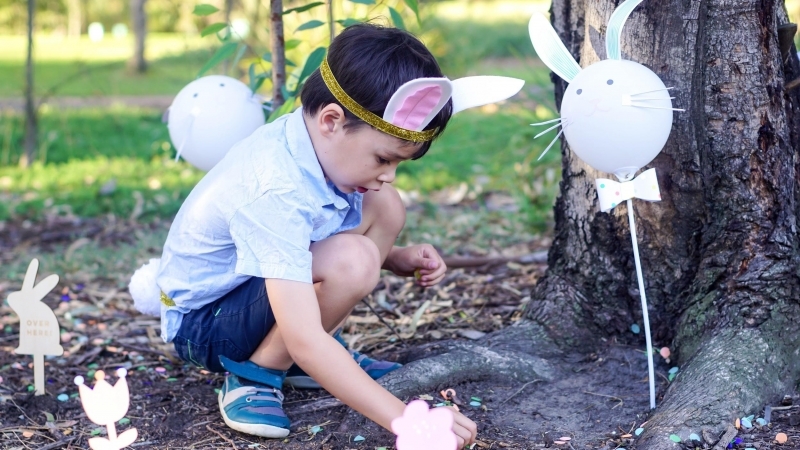 Easter Family Fun Day (Sat 20 Apr) – The 5th annual Caroline Springs Community Easter fun day will include jumping castles, face painting, petting zoo, games, BBQ and much more. Cheeky Monkey Market (Sat 20 Apr) – A range of stall holders of all categories such as kids clothing and accessories, home decor, jewellery, shoes, women’s accessories, toys, handmade items and more. As well these events don’t forget to check what’s on at your local library and community centre! Joyce Watts helps families have more fun together! Her blog TOT: HOT OR NOT reviews things to do and places to go with kids in Melbourne, Regional Victoria and beyond. Sign up to her weekly newsletter here and follow her family’s adventures on Facebook, Instagram, Twitter and Pinterest.